The abbey of St Mary is surrounded by a lightly defensible precinct wall, incorporating towers and gates. The portion that runs down Marygate, from Bootham to the North banks of the River Ouse is almost completely intact, and includes five towers. Above. St Mary's tower at the Northern corner of the abbey precinct defences. 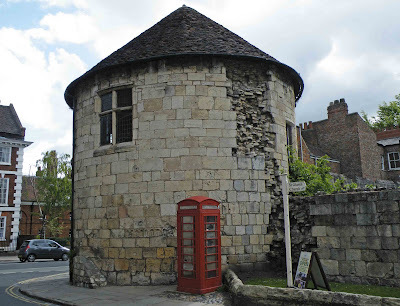 Built sometime between 1318 and 1324 by Stephen de Austewyk, St Mary's tower has changed much over the years. It is a two storey structure, around thirty four feet in diameter, with an octagonal interior. It was badly damaged during the 1644 siege of York, and subsequently rebuilt. The tower was mined by Parliamentarian forces during the attack, with an explosion beneath its foundations almost totally destroying it. The subsequent breach in the walls enabled Cromwell's army to gain access to the city, fighting their way to the King's Manor. However the attack was soon repelled with many injured and killed. The tower was rather crudely rebuilt, with much thinner walls, and some rather inexplicable external faults...still visible today. Above. Looking South along Marygate. 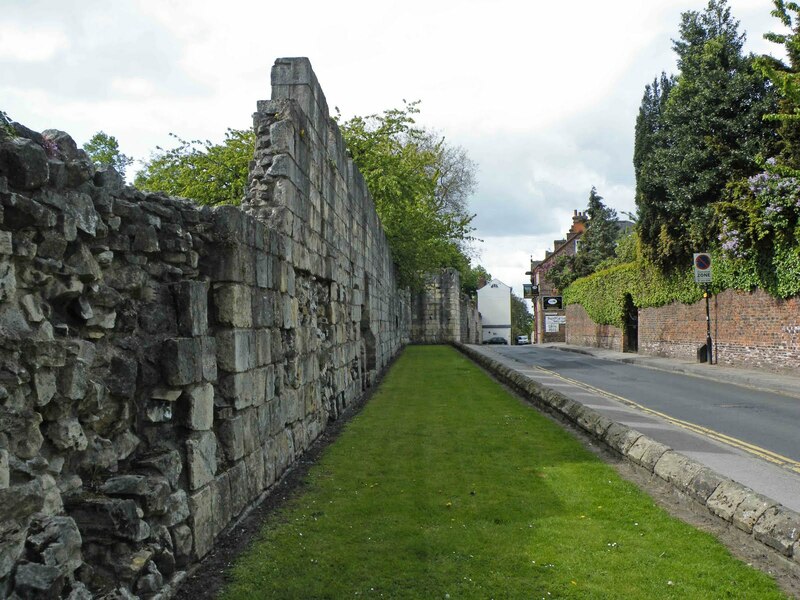 The walls along Marygate stretch from St Mary's tower right down to the River Ouse, some four hundred and fifty meters in total. 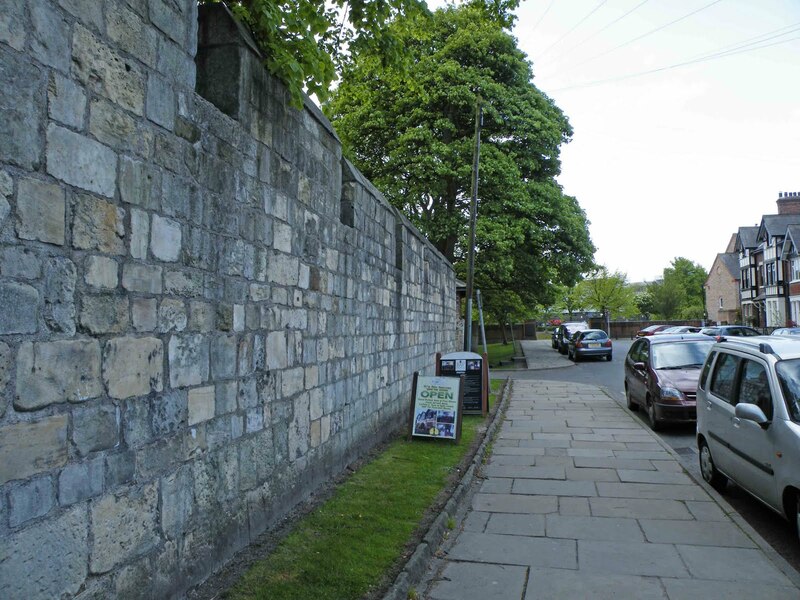 For most of the way down Marygate, the walls still stand to between fifteen and twenty feet tall. Above. 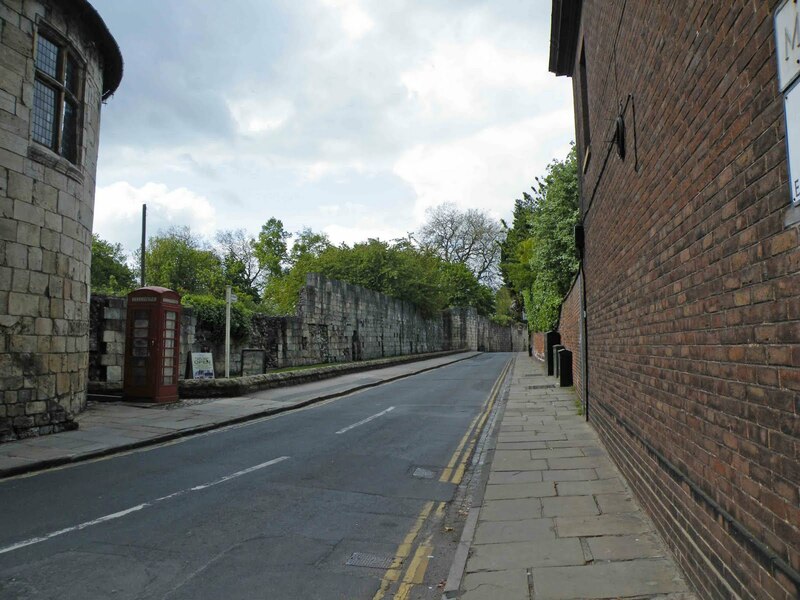 Looking North along Marygate towards St Mary's tower on Bootham. The wall appears to be quite thin along this stretch of wall (shown below)....whether this is a more recent state, or whether it has always been this way I'm not sure. There were buildings and houses built right up against the wall (on the grass strip shown above) up until the early part of the 20th century, but they were removed at some point, leaving us with the views we can see today. Above. 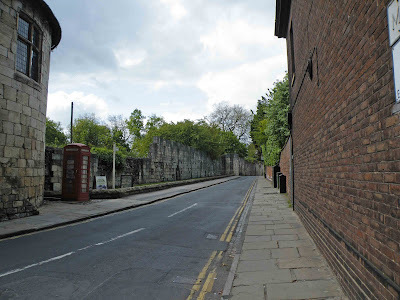 Looking South along Marygate with one of the walls towers visible. Above. A gun loop in the wall along Marygate. 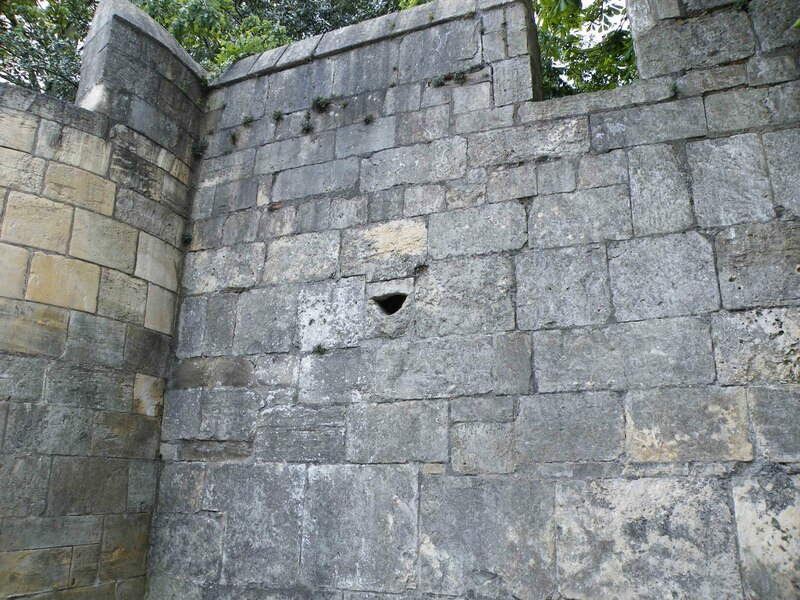 The gun loop shown above would probably have been added during the run up to the 1644 siege of York. Many changes and repairs would most likely have taken place during the civil war, as the defending Royalist garrison realised that Cromwell would send his army against the city. Gun loops would have been added to various parts of the city's walls, to enable the defenders to deploy muskets to aid the city's defence. There is another loop a few yards away from this one. Above. Looking North towards the River Ouse on Marygate. The walls around St Mary's Abbey appear to differ from the major walls of the city in one important way, in that they did not possess a stone walkway behind the crenellations. There may have been a wooden walkway for any patrolling of the precinct walls, but this has obviously not survived. 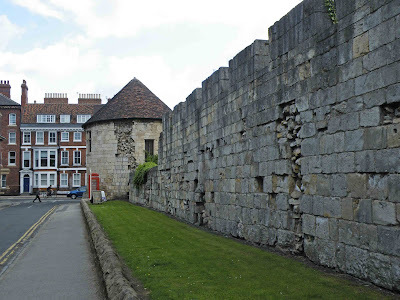 It may be that the walls here were more of a symbolic protection, visibly separating the grounds of the abbey from the rest of the city of York. The walls are visible from Marygate, from Bootham down to the river. From the gateway near the church of St Olave, the interior of the lower stretch of the wall is also visible.